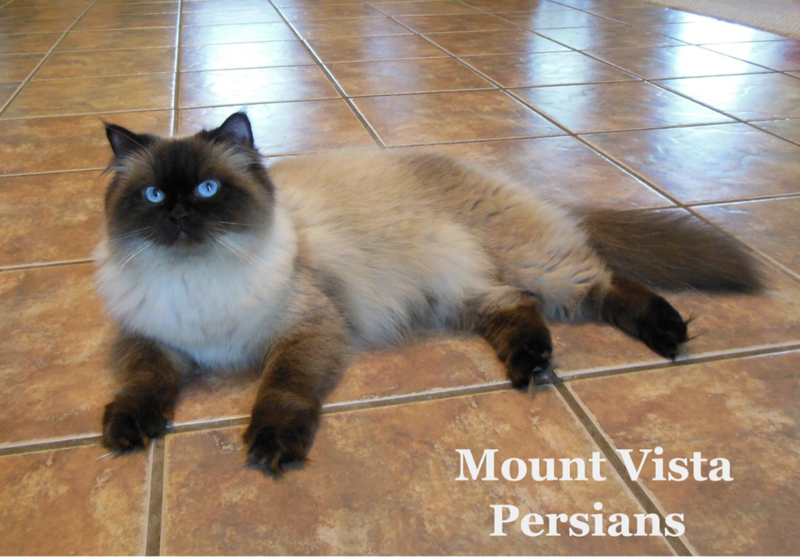 My cats/kittens on this page are not for sale, but serve as examples of Himalayan colors. 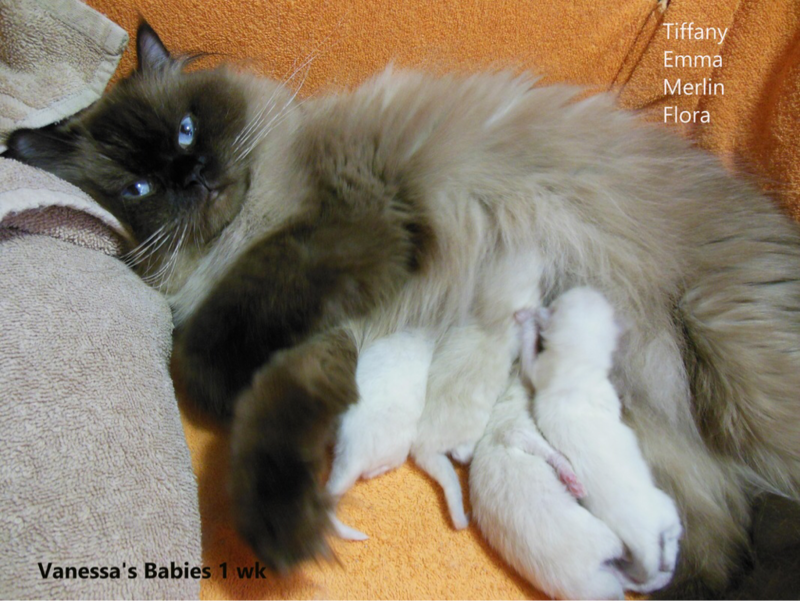 Please visit FAQ if you have any questions. 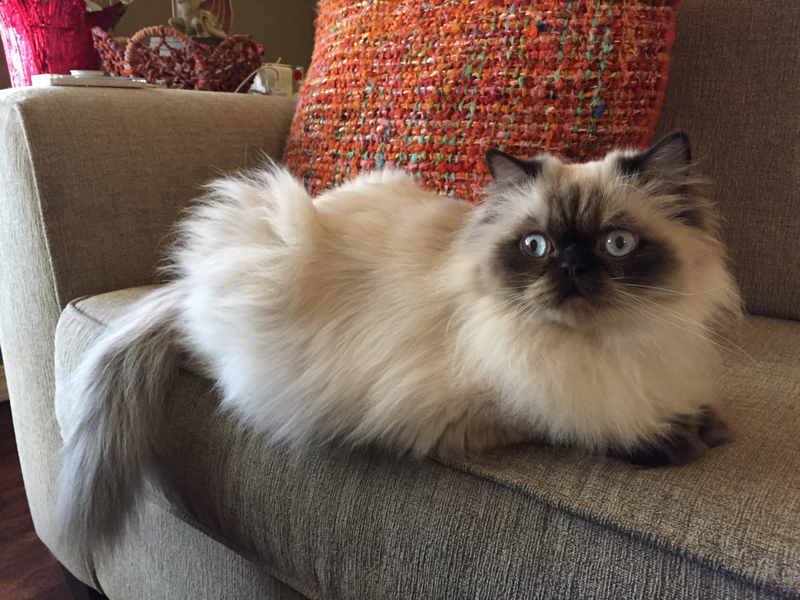 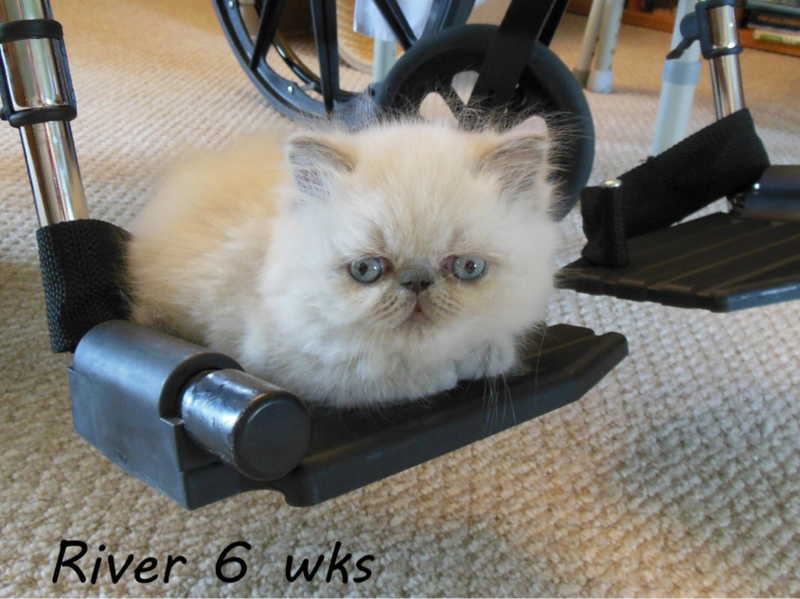 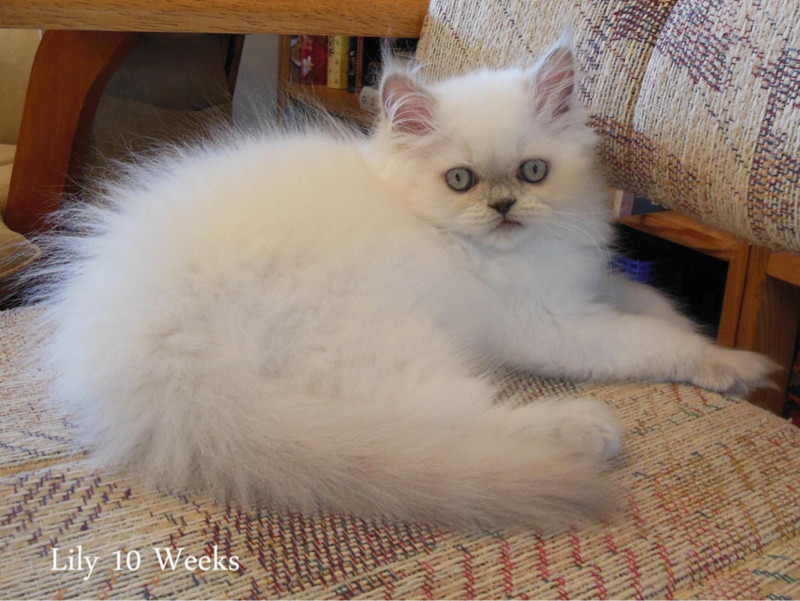 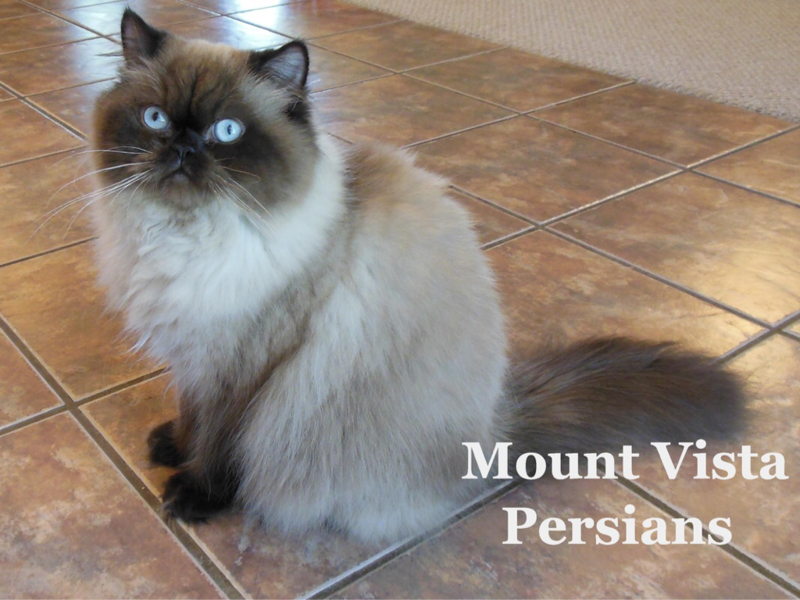 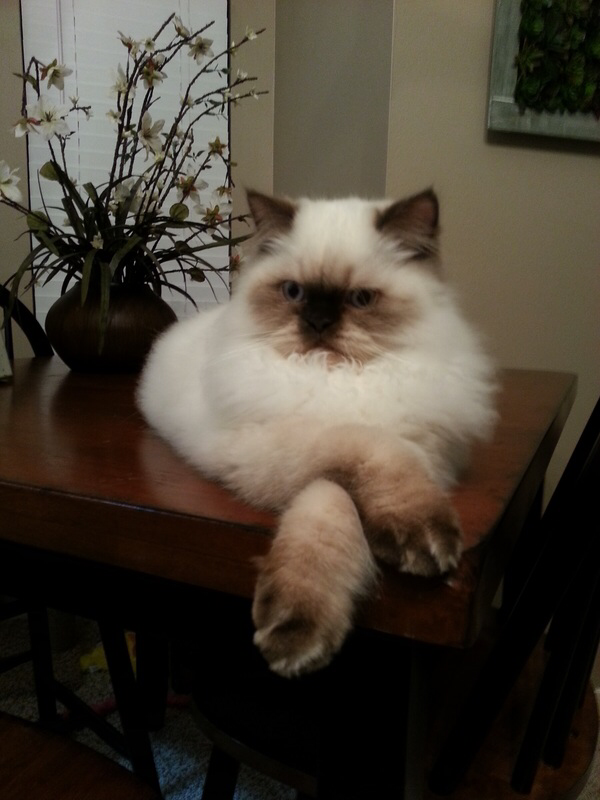 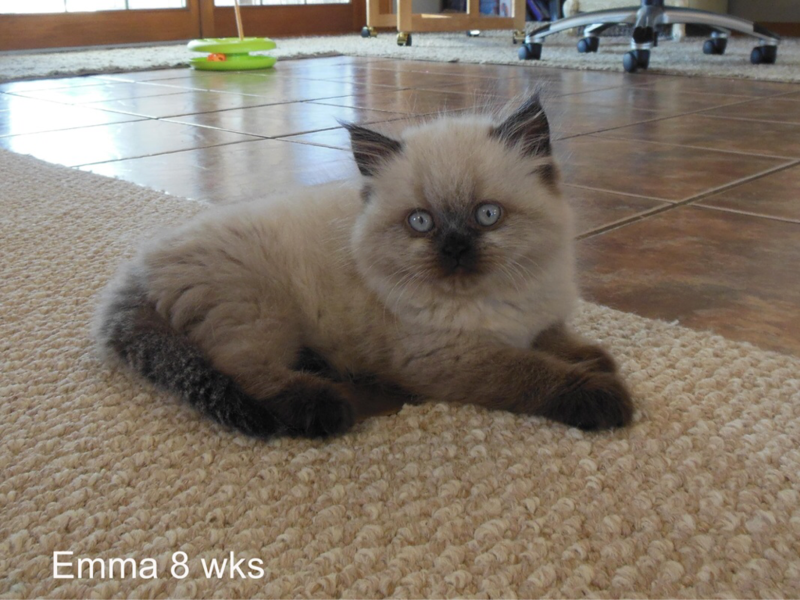 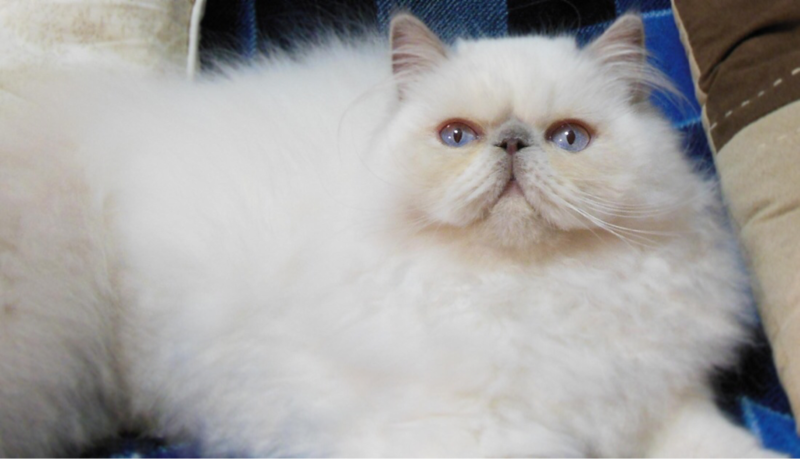 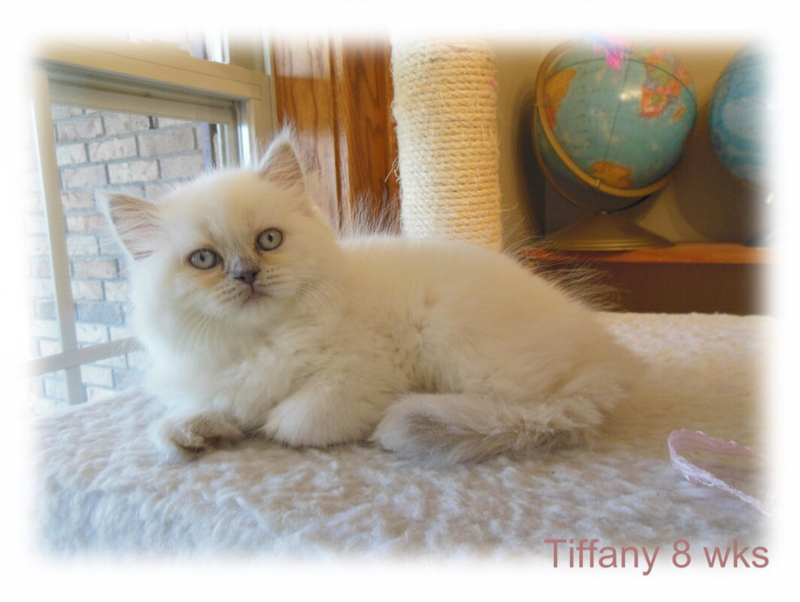 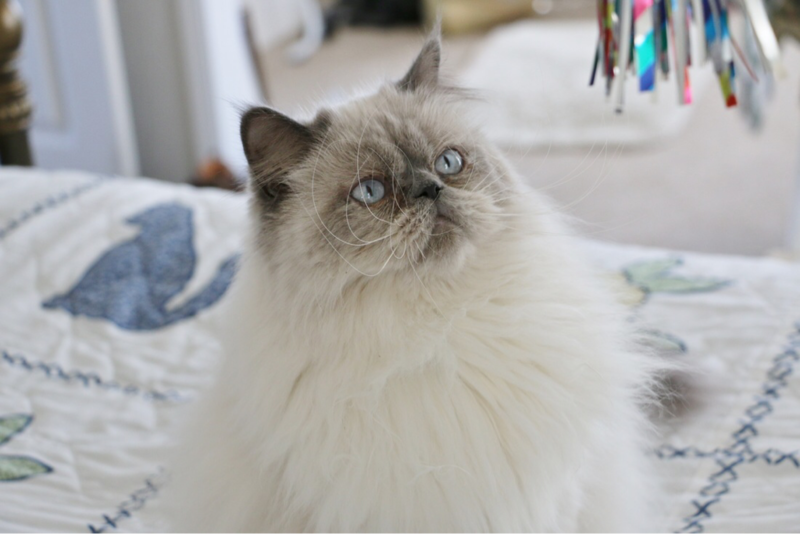 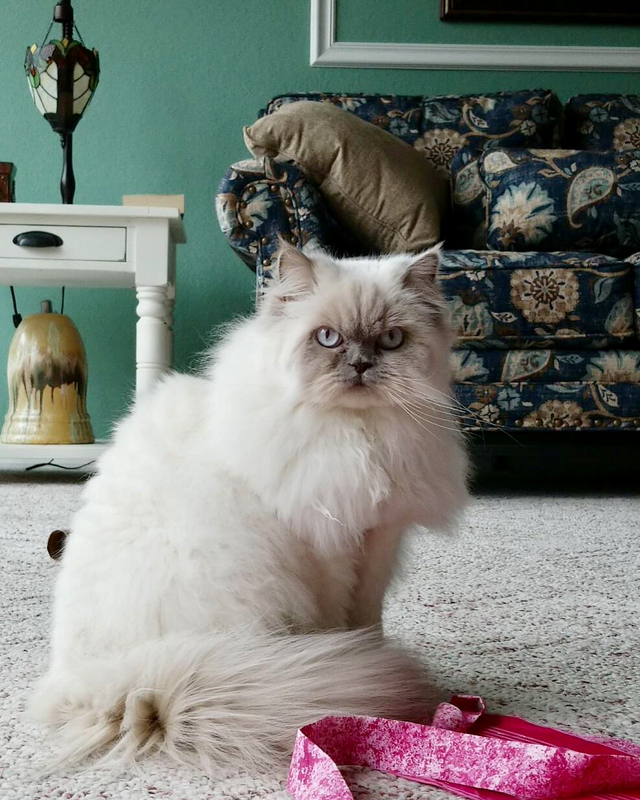 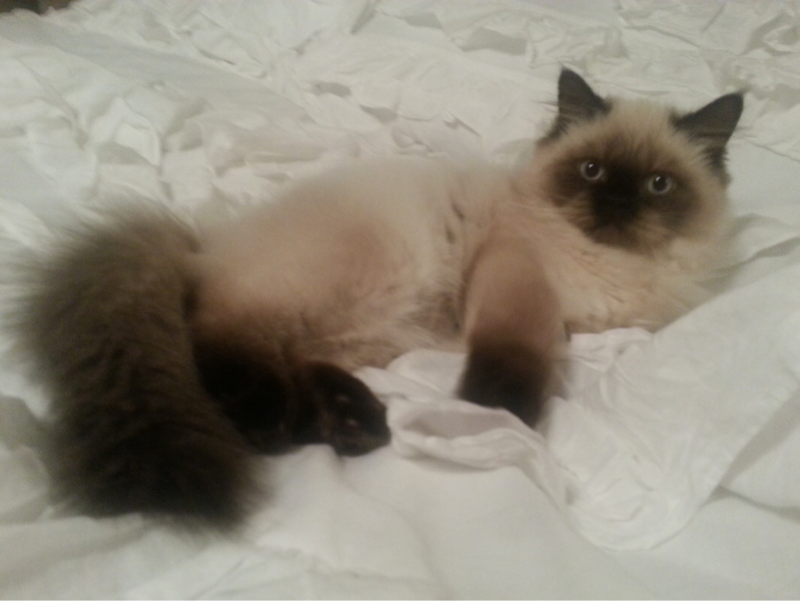 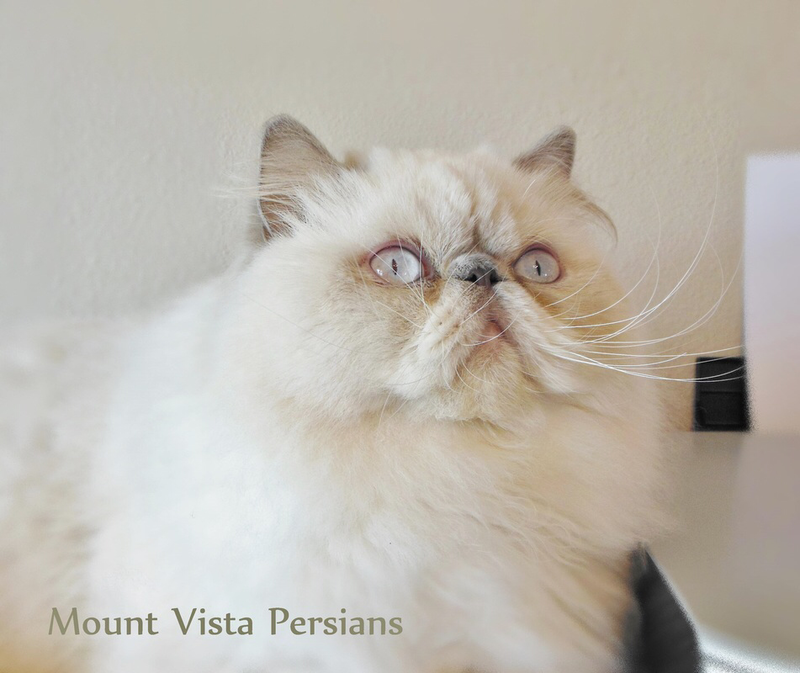 ​A Himalayan is a color pointed Persian. 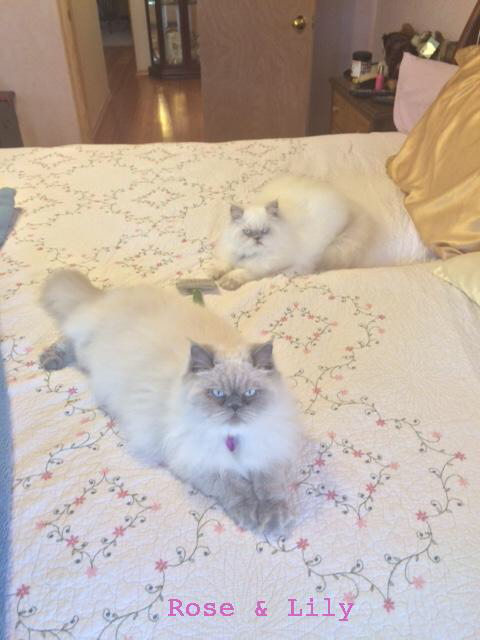 ​and they keep their beautiful blue eyes for life. 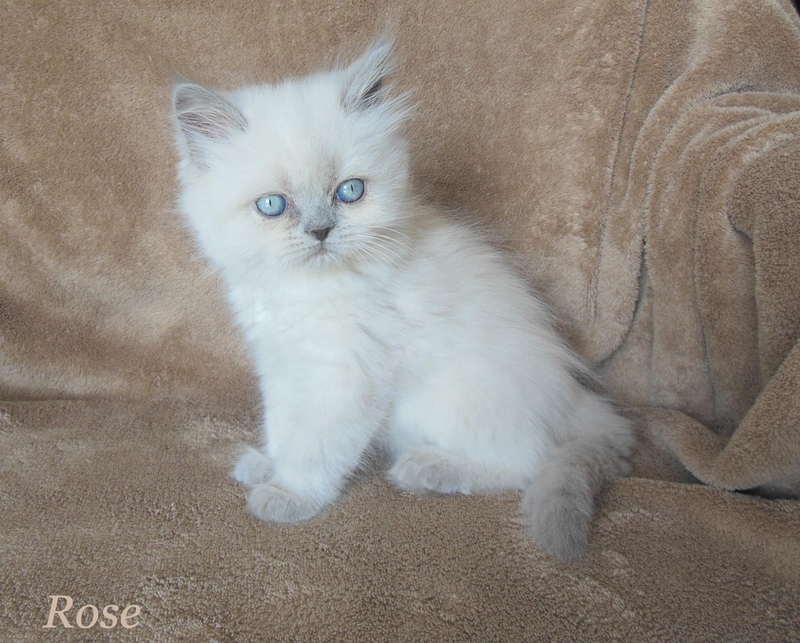 Chocolate point with Seal point in the back. 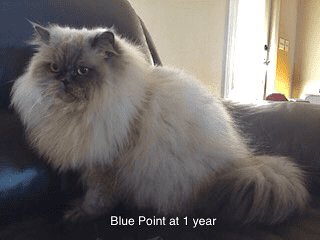 Blue point in front. 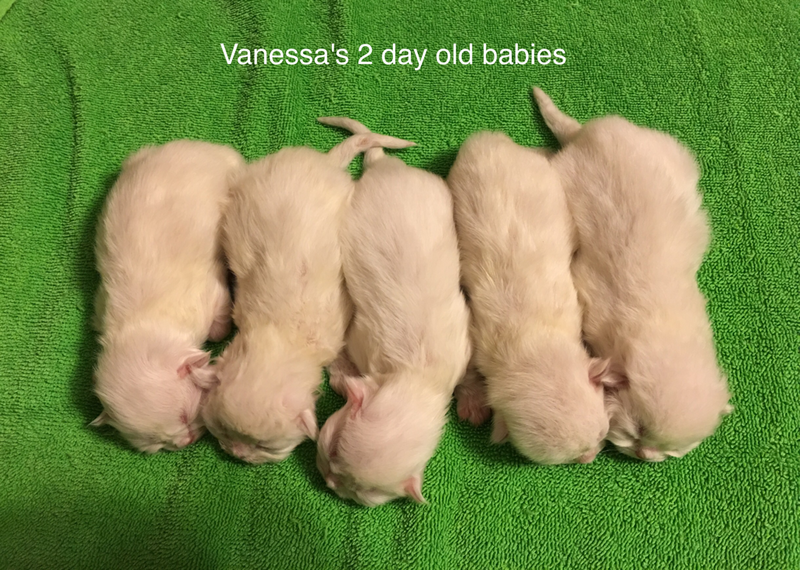 Young lilac point in back. 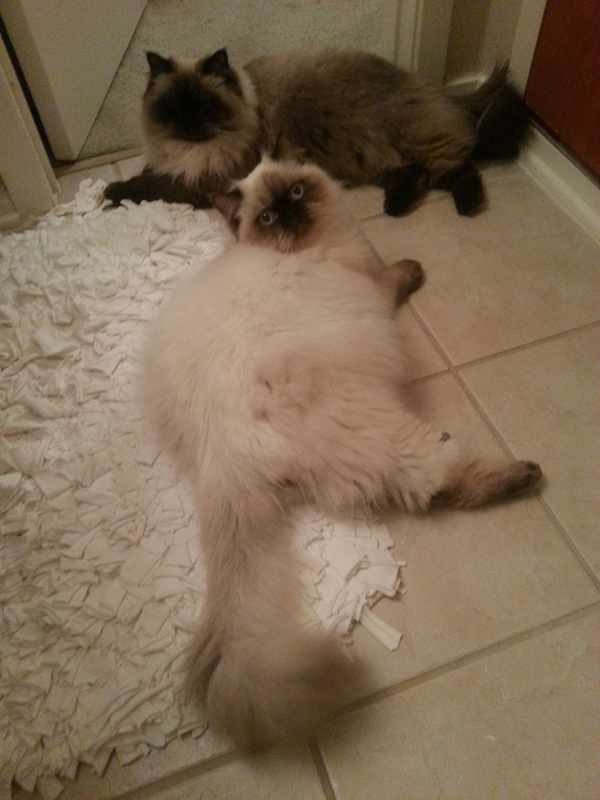 Two Seal Points on right. 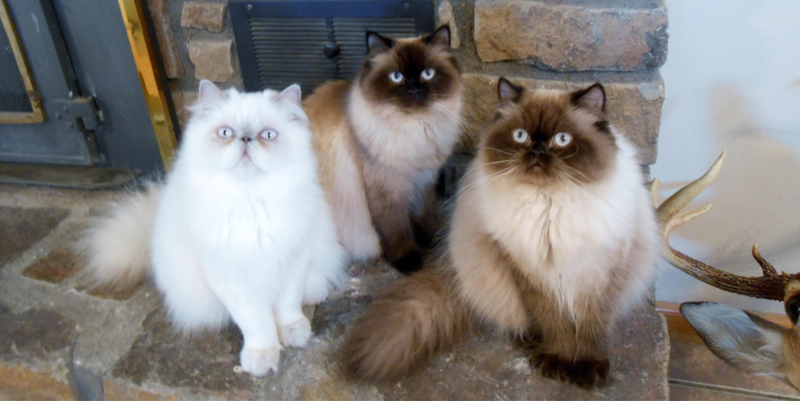 Lilac point on left.